Tauseef Zia Siddiqui, the man behind Prime Minister Modi's dubious award, is seemingly employed by a state-owned Saudi firm eager to expand its footprint in India. Prime Minister Modi met crown prince Mohammed Bin Salman of Saudi Arabia at the G20 Summit in Buenos Aires in November 2018, to discuss Saudi investments in India. New Delhi: The mystery of the Philip Kotler Presidential Award, presented to Prime Minister Narendra Modi here on Monday, has deepened following further inquiries into the legitimacy of the prize. The prime minister was feted by much of his cabinet and many BJP chief ministers on social media for receiving the “first-ever” prize of this name. However, as The Wire reported, it emerged that Modi’s prize was given – through no disclosed jury or process – by the World Marketing Summit (WMS) India, a franchised event held by a hitherto unknown Aligarh-based firm, Suslence Research International Institute. Since the publication of The Wire’s report on Monday, both the websites of WMS (India) and Suslence have been shut down (a basic version of these sites as they existed till January 15 can be accessed via Google Cache). Though management guru Philip Kotler, who had franchised his name for use in awards by WMS18, finally tweeted his congratulations to Modi late on Tuesday night, the Twitter handle of the World Marketing Summit India – which broke the news of Modi’s “prestigious award” on Monday – has since been deleted, raising a further question over the nature of the award for the prime minister. 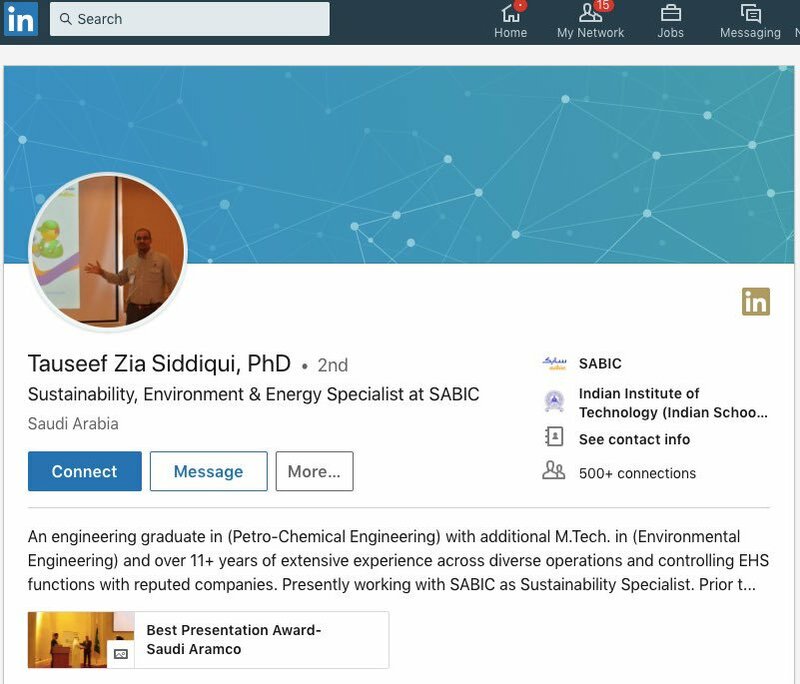 According to his LinkedIn profile, Tauseef Zia Siddiqui – the founder of the two companies – has been employed since January 2014 by SABIC, a major global petrochemical producer which is 70% owned by the Saudi government. His job description is “Sustainability Specialist”. He lives in Dammam, Saudi Arabia, which he confirmed in a phone conversation on Monday. What Siddiqui’s LinkedIn profile fails to mention is his role at Suslence. In 2017, while apparently working at SABIC, Siddiqui founded the Suslence Research International Institute. MCA records show the firm was incorporated on September 6, 2017. Its website was only registered on July 3, 2018 – a few months before it hosted WMS 2018 in New Delhi, as a regional franchise of the global WMS Group. Its registered address is in Aligarh, but on Tuesday, a TV channel reported that it was unable to locate the address. Update: Siddiqui has deleted his LinkedIn profile. Siddiqui’s associates at Suslence include Anna Khan – his wife and a director at the company – and Faisal Ziauddin, a co-founder of Suslence and Programme Director of WMS18 (as named on the companies’ websites). A third director named is Zubair Ahmed Khan. Anna Khan is an assistant professor at the Imam Abdulrahman Bin Faisal University in Dammam. She was seen in the official photographs presenting the Kotler award to Prime Minister Modi along with with Tauseef. Faisal Ziauddin is a founding member of MSI Management Consultants. He is also based in Saudi Arabia, according to his online profile. 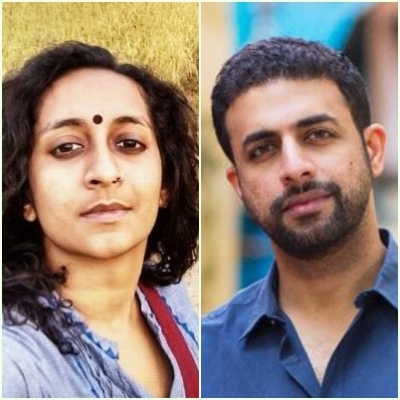 The WMS India website also named an “award judging committee” to award the Kotler Marketing Excellence Prizes – separate from Modi’s Presidential Award. These prizes were largely given to sponsors and partners of the WMS event, including GAIL, Baba Ramdev’s Patanjali, BusinessWorld and the viral website WittyFeed. Walter Vieira, a member of the judging committee, is a fellow of the Institute of Management Consultants. He told The Wire that he had agreed to join the jury, but was never called on to actually take part in any judging process. “They carried on and managed by themselves,” he said. Vieira said he had no prior association with Siddiqui. Gautam Majahan, president of the Customer Value Foundation India, and another member of the judging committee, also told The Wire that he was never included in any judging process, and doubted the credibility of the marketing awards. The Wire spoke to Siddiqui but he declined to answer questions, saying his associate would be in touch. All he would say is that Modi’s was “a very confidential award”. The Wire has also asked SABIC for a response on whether Siddiqui was authorised to set up his own private entity in India and to institute the Kotler Award, and this article will be updated with the group’s response. SABIC has had a presence in India since 1993-94, when its manufacturing plant opened in Vadodara, Gujarat. Statements and reports from the group make it clear that it plans to expand rapidly in India to take advantage of the demand for petrochemicals here. In October 2018, its CEO attended India Chem 2018 – an exhibition and conference in Mumbai, co-organised by the Ministry of Chemicals and Fertilisers and the Federation of Indian Chambers of Commerce and Industry (FICCI). The co-chairman of FICCI’s Petrochemical Industry Committee, Janardhanan Ramanujalu, also happens to be vice president and regional head, South Asia, SABIC India Pvt. Ltd.
Union minister and former BJP president Nitin Gadkari was chief guest at India Chem 2018. Seated next to Gadkari on the stage was Yousef Al-Benyan, SABIC’s VC & CEO. 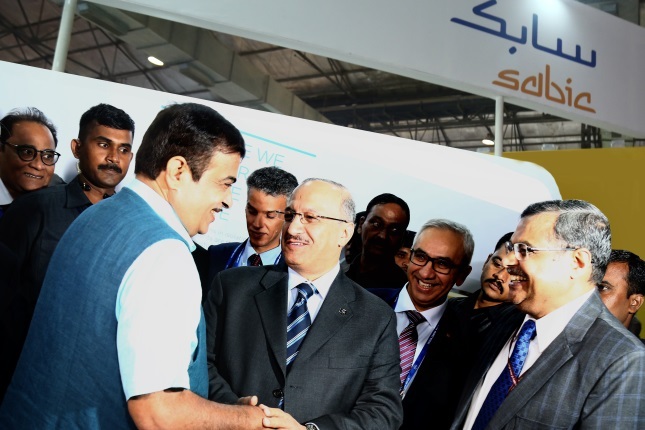 SABIC CEO Yousef Al-Benyan greets Union minister Nitin Gadkari during the India Chem 2018, in Mumbai. “SABIC takes pride in the partnership with the government and continues to leverage its global experience and world-class infrastructure towards building a strong petrochemical ecosystem in India,” he said at the conference. He also told The Hindu that SABIC is looking into “opportunities for acquisitions” in India. The convention programme notes SABIC’s plan to invest 4.3 billion USD to purchase a 50% stake in OPaL (ONGC Petro additions Limited). OPaL is co-promoted by ONGC and GAIL India – the latter a sponsor of Siddiqui’s WMS18. It operates India’s biggest petrochemical plant in western Gujarat state, and according to Reuters, the company made an operating profit for the first time in 2017-18. SABIC itself may be imminently acquired by Saudi Aramco – the national petroleum company – as part of Aramco’s plan to shift more petroleum into chemical manufacturing and to expand in fast-growing overseas markets, including in India. 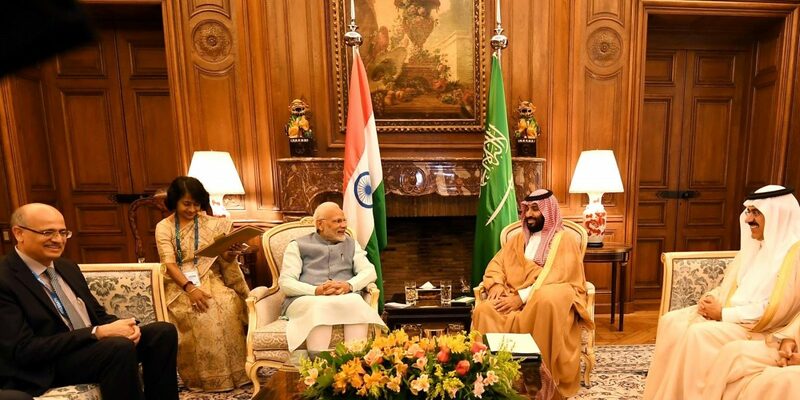 Since his first visit to Riyadh in 2016, Prime Minister Modi has repeatedly conferred with Saudi authorities on the subject of investing in India. Barely ten days after the India Chem conference, at the 2018 India Energy Forum, Saudi Arabia’s energy Minister Khalid-Al Falih met Prime Minister Modi and oil minister Dharmendra Pradhan and publicly committed to meeting India’s rising oil demand as well to invest in its petrochemical sector. The following month, on November 30, at the G20 summit in Buenos Aires, Modi met personally with crown prince Mohammed Bin Salman to discuss India’s energy security and Saudi Arabia’s investment opportunities.